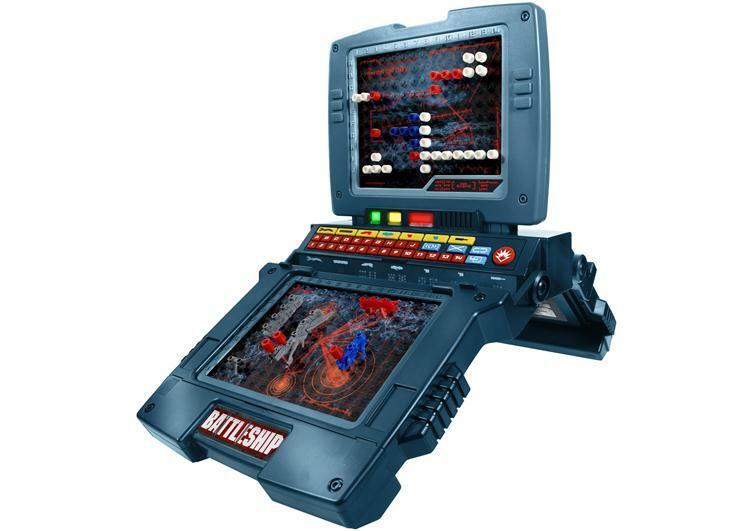 When it was announced that there was going to be a movie based on Hasbro’s board game Battleship I thought it was a joke. I think most people thought it would be a joke. Then I was more or less confused by the idea. When the first trailer hit and I saw all the giant alien ships I finally understood what was going on. Okay, it is one of those movies. Strap in, watch the special effects, and enjoy the explosions. It was then that I got excited about the movie. It isn’t because I want to see it. 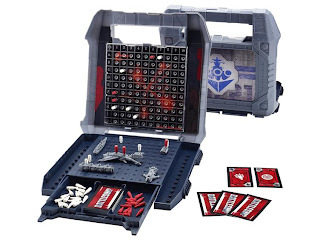 The movie will probably be a steaming pile, but I knew in my heart of hearts that Hasbro would waste no time in putting out a movie version of the game. I was right too. You can find the “Classic” style Battleship, which is just like normal Battleship but it replaces one of the players ships with the alien ones from the movie. There is something so delightfully cheesy about the whole thing. I may have to buy one of these. If that isn’t enough there is the “Deluxe” edition with sound effects! This version also adds aircraft to the game, I’ve no idea how they are used but I have to admit that I am a little intrigued by them. I’m not 45 dollars intrigued, but I think it sounds like a neat addition to the game. There are also a ton of toys coming out. Kre-O building sets with aliens and soldiers. Really though, when it comes to Battleship, the board game is the only thing that matters.